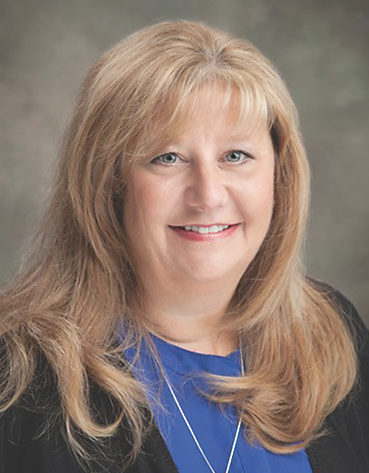 Natchitoches Regional Medical Center is pleased to announce that Debbie Vennekotter, Vice President of Organizational Development, has been named by the Commerce Department’s National Institute of Standards and Technology (NIST) to the Board of Examiners for the 2018 Malcolm Baldrige National Quality Award. The Baldrige Award is the nation’s highest honor for organizational innovation and performance excellence. Appointed by the NIST Director, examiners are responsible for reviewing and evaluating applications submitted for the Baldrige Award, as well as other assessment-related tasks. The examiner board is composed of more than 300 leading experts competitively selected from industry, professional, trade, education, health care, and nonprofit (including government) organizations from across the United States. Those selected meet the highest standards of qualification and peer recognition, demonstrating competencies related to customer focus, communication, ethics, action orientation, team building, and analytical skills. “On behalf of all of us at NRMC, I want to congratulate Debbie on this appointment, and she is the only Examiner appointed in Louisiana for 2018. The pursuit of the Baldrige Award makes all organizations stronger,” explained Kirk Soileau, Chief Executive Officer of NRMC. “Every day, we see Debbie in action. Thanks to her passion for organizational excellence coupled with her amazing expertise and leadership skills, Debbie has helped our organization go from being a good healthcare system to one that’s well on its way to becoming a great one. With exceptional analytical skills, she challenges all of us to focus and refocus as we identify our strengths as well as areas in need of improvement. I want to congratulate Debbie on her selection and extend my thanks to her for her vision, leadership and commitment here at NRMC,” Soileau said. U.S. organizations, and publicizes successful performance strategies. Since the first group was recognized in 1988, 119 awards have been presented to 110 organizations (including eight repeat recipients). For information on the Baldrige Performance Excellence Program and the Baldrige Award application process, call (301) 975-2036, send an e-mail to baldrige@nist.gov, or visit http://www.nist.gov/baldrige.